Class is now in session at the Taylor Swift Education Center at the Country Music Hall of Fame and Museum. The pop star cut the ribbon on her new namesake facility in Nashville during a ceremony on Saturday morning, showing off the museum's expansion to reporters and local high school students, the Associated Press reports. Taylor Swift donated $4 million to the Hall of Fame to endow the education center, which will include three classrooms, a hands-on instrument room and a children's exhibit gallery for interactive exhibits, all spread over two floors. According to Swift's website, her donation to the center stands as the largest individual artist gift ever donated to the Country Music Hall of Fame, where the singer signed her record contract as a teenager. "I'm really excited about this music education center and the fact that right now they have three different classes going on today," Swift said in an interview after the ceremony. "It's really exciting that we can be here on a day when they're not only unveiling it, but they're starting to actively use it today." Imagine Dragons Announce "Into the Night Tour" Dates! 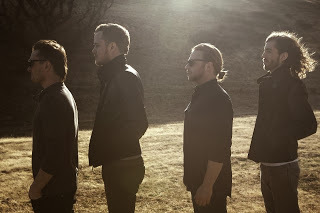 Platinum-selling rock band, Imagine Dragons, announced today they will kick off their "Into the Night Tour" on February 8, 2014 in Boise, Idaho. One of music's breakout artists of 2013, Imagine Dragons have become touring sensations as they played to sold-out shows throughout their latest "Night Visions Tour." Produced by Live Nation, the "Into the Night Tour" will take the band to over 20 cities across North America including Los Angeles, Toronto, Vancouver, Chicago and Minneapolis and will be the band's last round of U.S. and Canadian shows supporting the "Night Visions" album before a string of international dates and festivals through the spring of 2014. Alternative rockers The Naked And Famous will join the "Into the Night Tour" as special guests. Also appearing on select dates during the tour will be Los Angeles indie music artists, Nico Vega, and Brooklyn rock band, X Ambassadors. Tickets for the general public go on sale on Friday, October 11th. 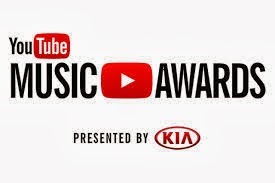 YouTube announced Monday the first YouTube Music Awards, which will be live-streamed online. The awards ceremony will take place in New York City and will stream live online on Nov. 3. Director Spike Jonze and actor Jason Schwartzman will host. "Our point is to celebrate YouTube's role in the music ecosystem," says Danielle Tiedt, the San Bruno, Calif.-based company's vice president of marketing. "If you think about how most of us encounter music, it's usually on YouTube, whether it's stars like Miley Cyrus and her VMA performance or her new 'Wrecking Ball' video, or musicians like Lindsey (Stirling), who broke thanks to our site." With names like Lady Gaga, Eminem and Arcade Fire performing, the show won't be lacking celebrity power, but the award show is looking to honor the less famous acts that have made YouTube the go-to place for discovering new talent. Some of YouTube's biggest stars, like Lindsey Stirling and CDZA will also perform.